This is a transcript of a small A5 16-page booklet produced by the Vaughan family in the 1960s. The family gave tours of the house to raise money for nearby Llanfachreth Church and this booklet helped towards this. Ever since 1494, when Dafydd ap Meurig 10th Lord of Nannau bequeathed “the sum of six shillings and eightpence towards the construction of Llanfachreth Church,” the family of Nannau has always supported the Parish Church. 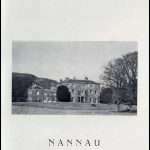 The present owner of Nannau, Brigadier Vaughan, maintains this tradition by opening his house to the public, and giving all profits on entrance fees and sale of booklets to the Repair Fund of Llanfachreth Church. There are no visible remains of the 15th Century building and the earliest Register is dated 1634. Inscriptions in Welsh and English on the Lych Gate eulogising “Good King George,” record that the Church was enlarged and restored in 1820 by “Yr Hên Syr Robert Vaughan,” and local newspapers of 1880 report its complete rebuilding by Mr. John Vaughan. The unusual alabaster pulpit and reredos commemorate members of the Vaughan family and there is a marble tablet in memory of Rhys Jones of Blaenau, the 17th Century poet. The one remaining Nannau memorial, measuring 9’8” by 5’6”, is carved from one massive marble slab. Now once again this ancient Welsh Church is urgently in need of extensive and costly repairs, and, since it serves only a sparsely populated rural community, you are asked to contribute to its maintenance as generously as you can. The Cover of the Guide Book Showing Nannau as it was at the time (in the 1960s). Nannau is a Georgian house standing 700 feet above Dolgellau, amid some of the loveliest scenery in Britain. Set high among the Merioneth mountains overlooking a natural Deer Park, where a herd of over 40 fallow deer is preserved, Nannau is itself overlooked by the rocky mass known as Moel Offrwm, the Hill of Sacrifice, on which can be traced the remains of two early British Camps. The present house is probably the fifth on the site. It was started in 1788 by Sir Robert Howell Vaughan, and completed by his more famous son, who has always been known affectionately as “Yr Hên Syr Robert” (“Old Sir Robert”). An earlier house was burned by Owain Glyndŵr in 1404, the family of Nannau having always (to quote another Robert Vaughan, the Antiquary of Hengwrt) “stood stiffly for the Kynge.” Owain killed the 8th Lord of Nannau, Hywel Sele, and hid his body in a hollow oak. There the skeleton was discovered 10 years later, and given Christian burial at Cymmer Abbey. 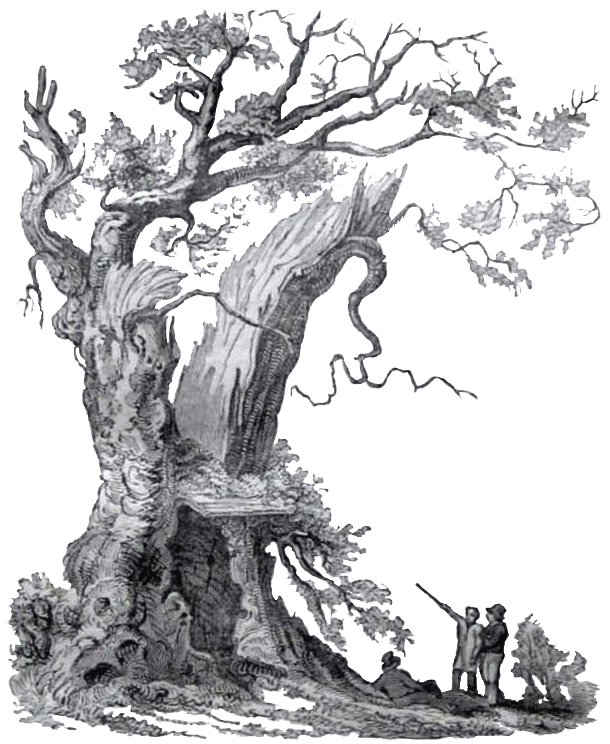 The tree at length fell “from weight of age” in 1813, when a number of cups, candlesticks and other interesting souvenirs were made from its remains. The first known house on the site which, to quote the Antiquary again, “was the stateliest structure in all North Wales,” was built in 1100 by Cadwgan ap (son of) Bleddyn Prince of Powys, from whom the Nannau (or “Nanney”) and Vaughan families descend. The Arms of Cadwgan, a “Lion Rampant Azure,” are still borne as a Crest by the present owner. The Fight Between Owain Glyndŵr and Howell Sele, 1404. From a sketch signed “Barker, 1798”. His son was the famous Hugh Nannau Hên (c.1563-1623), who rebuilt Nannau on a very grand scale, if we can believe the bards, seven of whom wrote elegies at his death. Jealous of his wealth and position, some of his cousins and neighbours accused him of “cutting and carrying away certain trees from the King’s Majesties fforest,” and he and his son were held prisoners in Fleet Gaol for some years. An appeal to the Court of Star Chamber resulted in one of the accusing witnesses being found guilty of perjury. He was deprived of his office of J.P., imprisoned, and forced to pay Hugh £100. Nevertheless, Hugh himself was ﬁned £800 for his offence. A few inscribed stones are all that remain of Hugh Nannau Hên’s “palace,” and we can assume that Nannau shared the fate of Caergai, Ynysmaengwyn and many other Royalist houses in North Wales, which were destroyed by Cromwell’s troops. Hugh’s great-great-great-grandson, Colonel Hugh Nanney, was another remarkable character. The last male Nanney of Nannau, when he died at the age of 31, he had been High Sheriff, Vice-Admiral of North Wales, three times Knight of the Shire, Colonel of a Regiment of Militia, which he raised himself, and had still found time to rebuild Nannau. Moses Griffiths painted this house nearly a hundred years later, and a rough sketch of it can be seen on a firescreen. Colonel Nanney had four daughters but no son, so after 600 years of unbroken succession, the senior male Nannau line ended, but, as will be seen, the descendants of Cadwgan still continued as Lords of Nannau. “OLD NANNAU” (From a sketch by Moses Griffiths in the National Library of Wales). Built by Colonel Hugh Nanney c.1697. Hywel Sele’s great grandfather, Ynyr Fychan, had two sons. The elder, Meurig, whose effigy lies in Dolgellau Church, was the ancestor of the Nannaus, while the Vaughans of Hengwrt are descended from the younger son, Hywel. 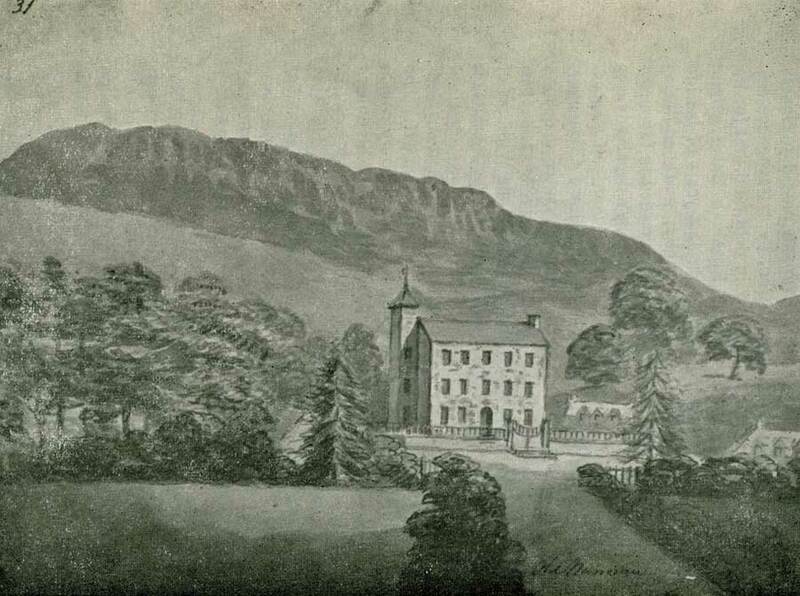 In the 16th Century, this branch of Cadwgan’s family was living at Gwerngraig, on the slopes of Cader Idris, and towards the end of Elizabeth’s reign, the eldest son, Howel Fychan, married Margaret Owen, heiress of Hengwrt. Their son was Robert Vaughan, the famous Antiquary, whose collection of books and manuscript formed the foundation of the National Library of Wales. Four generations later in 1719 another Robert married Janet, one of the heiress daughters of Colonel Hugh Nanney. Janet’s elder twin sister Catherine, married William Vaughan of Corsygedol, who became Chief President of Cymmrodorion, and who had the life tenancy of Nannau. When he died in 1775, Nannau passed to Janet’s son, Hugh Vaughan of Hengwrt, who, by extravagance and mismanagement became hopelessly in debt, and, but for his astute and indefatigable secretary, Elizabeth Baker, would have lost all his estates. He spent the last years of his life avoiding the bailiffs who occupied Hengwrt, and died during a long Chancery suit, which was finally decided in favour of the Vaughans in 1788. Among the family’s legal advisers were Richard (afterwards Chief Baron) Richards of Caerynwch, and Lord Eldon, who later became Lord Chancellor. Hugh’s brother, Robert Howell Vaughan, succeeded him, and came to Nannau as High Sheriff in 1784. 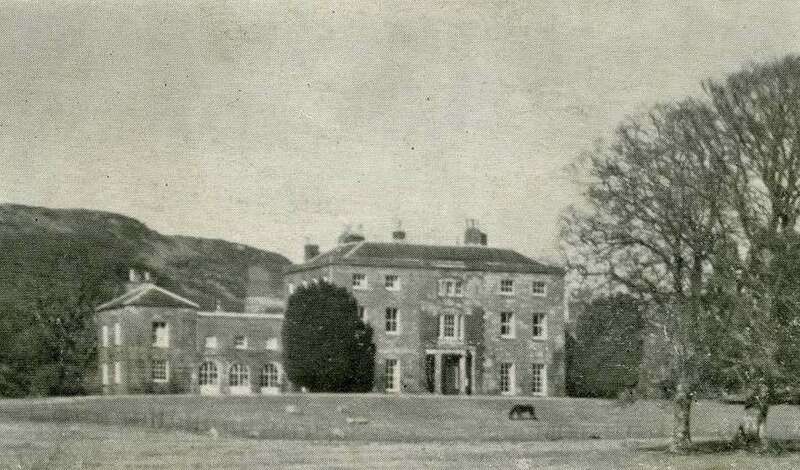 Like two earlier Roberts, he had married an heiress, Anne Williams of Meifod; be restored to the Nannau and Hengwrt estates a great measure of their former glory, and was created a Baronet for political services. His eldest son Robert succeeded to Nannau, and the youngest, Griffith, to Hengwrt. The second son, Edward, inherited Rhug from a Salusbury cousin when only 13 years old, and so proud was he of his inheritance that he scribbled his new name of “Vaughan-Salusbury” no less than six times on the title-page of his Eton College Prayer Book. Later, he commanded the Grenadier Guards, serving in several of the earlier Napoleonic Campaigns. His set of 68 Water Colour pictures of the uniforms of the European Armies of 1796/7 is probably unique. The second Baronet, Yr Hên Syr Robert, who represented Merioneth at Westminster for no less than 44 years, is perhaps the most interesting character in the whole of the history of Nannau. Certainly he has left his mark on the surrounding countryside, where he provided work and food for hundreds of men left unemployed between the Napoleonic campaigns, in building roads, bridges, walls and solid stone cottages and barns. These buildings are all of artistic architectural design, and many bear his initials and those of his wife, Anna Maria Mostyn. Many souvenirs of this great Welsh Squire are on view at Nannau: – A set of Georgian glasses to commemorate the House-warming party at Nannau on January 1st, 1797; a hinged, wooden-soled over-shoe, no doubt designed to keep out the wet of a Welsh winter; a 17th Century Oak Carrying chair, carved with the dates of his parliamentary career; more engraved glasses to commemorate his son’s Coming-of-Age in 1824, to mention but a few. This event was one of the subjects set for the Denbigh Eisteddfod that year, and was given prominence in newspapers as far away as Shropshire and Cheshire, so great was the importance attached to the 21st Birthday of the heir to Nannau, Hengwrt and Rhug. Sir Robert built a new Kitchen wing for the occasion, and the menu, preserved in the Library at Nannau, is headed by a Barron of beef weighing 165lbs., which was cut from the carcase of the famous White Ox, painted by Clowes. The horns and forefeet of the ox, mounted in silver as candelabra, stand on the fine 17th Century dining table, said to have been that on which Charles I’s Death Warrant was signed. In the same room are the “Ceubren” Cups and Candlesticks, made from Hywel Sele’s oak tree in honour of the heir of Nannau. Little is known of the hero of the occasion, except that he married Frances Lloyd of Rhagatt, and died childless in 1859. He left the Hengwrt Library, including the Antiquary’s priceless collection of manuscripts to his friend, William Wynne of Peniarth, Rhug to his Godson, Charles Wynn, and Hengwrt (for life), to his wife’s Lloyd relations. A direct descendant of Cadwgan to succeed to Nannau was discovered in the person of John Vaughan of Chilton Grove, Shropshire. He improved the estate in many ways, building new farmhouses and cottages and repairing old ones. He also laid out beautiful gardens, was High Sheriff in 1880 and stood (unsuccessfully) for Parliament. Such style did he and his wife, Ellinor Owen of Garthangharad, keep at Nannau that the combined outdoor and indoor staff at the time of their younger daughter’s marriage in 1889 numbered 27. John Vaughan’s son, Major-General John Vaughan, saw active service in Matabeleland, the Sudan, South Africa and World War I. He was also a sportsman of rare distinction, who won the Kadir Cup in 1907, and innumerable Steeple-chases and Point-to-Points, and was one of the best riders to hounds of the century. He died as the result of a riding accident at the age of 84 (in 1956), leaving Nannau to his second cousin, the present owner, Brigadier Hilary Vaughan. Thus, after more than eight and a half centuries, Nannau still belongs to a direct descendant of Cadwgan. Brigadier Vaughan started his military career in the Royal Welch Fusiliers, but, during World War II, transferred to the Parachute Regiment, and commanded the 2nd Independent Parachute Brigade Group in Italy, Greece and Palestine. Having retired from the Army in 1948 to manage his Welsh estate, he is a practical farmer, a J.P. and D.L., and was High Sheriff of Merioneth 1956-8. 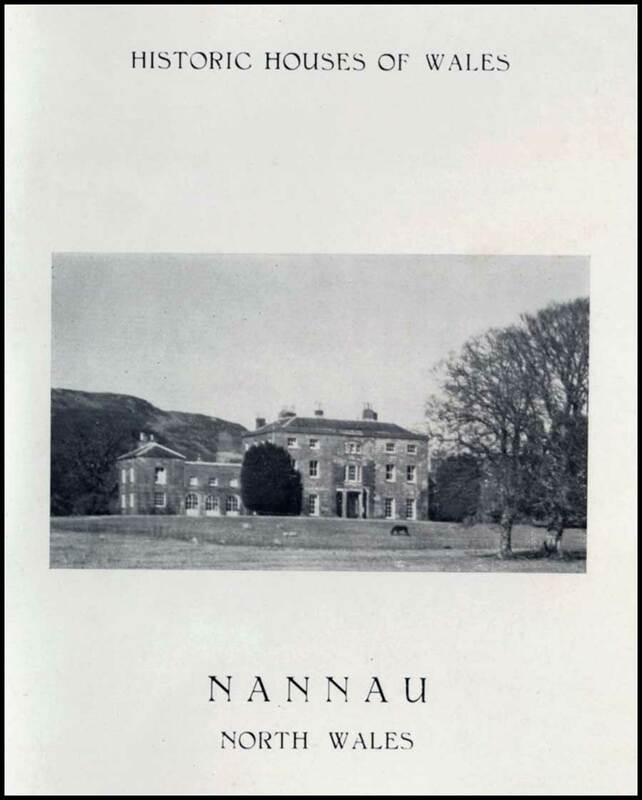 His aim is to preserve Nannau as a Welsh Historic home, and it is to this end that he has collected and had restored (with some assistance from the Historic Buildings Council for Wales) the family portraits, furniture and other treasures now on view at Nannau. 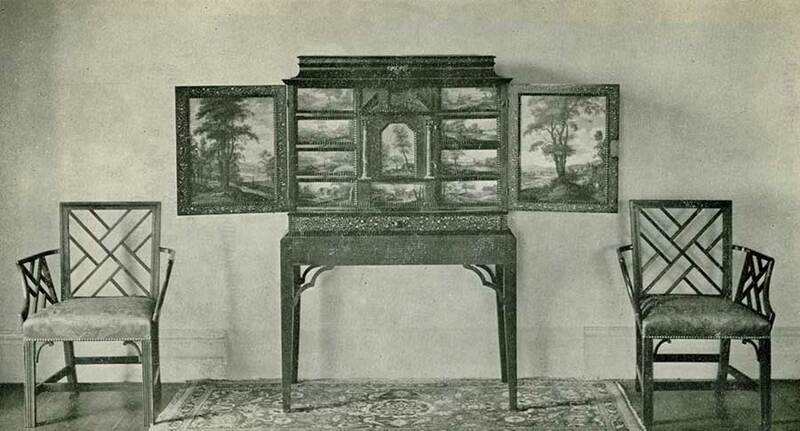 The 17th Century Flemish Painted Cabinet and Two of the “Chinese Chippendale” Chairs. Collection of 18th and 19th Century Glass. 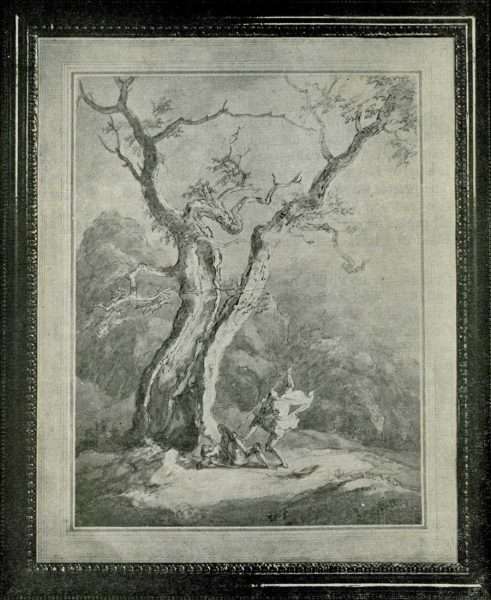 Print of Hywel Sele’s Oak Tree, sketched by Sir Richard Colt Hoare the day before it fell. Set of “Chinese Chippendale” Chairs. Painted Cabinet (Brille or Ian Wildens, Flemish. 17th Century). Pair of “Adam style” Cabinets, containing Chelsea, Dresden and Bow figures, “Chamberlain-Worcester” Tea service, etc. Portrait of Children, signed “Medina. 1697.” (The girl is thought to be Anne Nanney). Two of the Candlesticks and Some of the “Ceubren Cups” made from Howell Sele’s Oak Tree. Table, originally at Corsygedol, said to be that on which Charles I’s Death Warrant was signed. Pastel portrait of Edward Vaughan-Salusbury, his Eton College Prayer Book (1783), collection of Military Water Colours, and other Souvenirs. Portrait of Brigadier Vaughan, by William Dring, R.A., 1961. Stone from Hugh Nannau Hén’s house (1581). Prehistoric (600 B.C.) Bronze Bucket, “Kurdish” type, found on the Estate. Baby’s High Chair, carved “G.N. 1669” (Gruffydd Nanney, brother of the Colonel). Containing Collection of Copper cooking pots and pans. On the GARTHBLEDDYN LODGE, built by Yr Hên Syr Robert, the hands of the CLOCK set at six minutes to five indicated that a traveller was always in time for a meal. In the curious design of the WROUGHT IRON GATES, the visitor will recognise the Pegasus Badge of Airborne Forces. They were made for Brigadier Vaughan by his Parachute Brigade Engineers. About two miles beyond Nannau is an ARCH, known as Y GARREG FAWR, (the Big Stone). Local tradition relates that it was dragged from near the Roman Steps, (a distance of about ten miles,) to the order of Sir Robert Vaughan, by four tenants who had not paid their rent. On the gable of the HOME FARM can be seen the initials of Robert Williames Vaughan and his wife, Anna Maria, and the date 1834, formed by port bottles built into the wall. Carved stones from the house built in 1581 by Hugh Nannau Hên are set into the wall of the East Wing of Nannau. There is a verse by Sion Philip, and the Royal Arms of Elizabeth I. Cover photo by Robert Addie. “Old Nannau,” reproduced by courtesy of N.L.W. Other photos by Tudur Owen.